Winner Great Taste Award 2018! 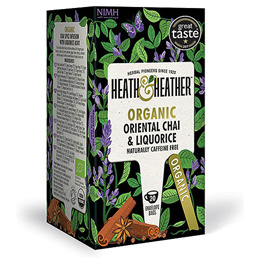 This naturally caffeine free chai infusion combines all the fragrant spices found in a classic chai such as cinnamon, ginger, cloves, nutmeg, cardamom and black pepper, and is set alive with the sweet flavours of organic liquorice root. 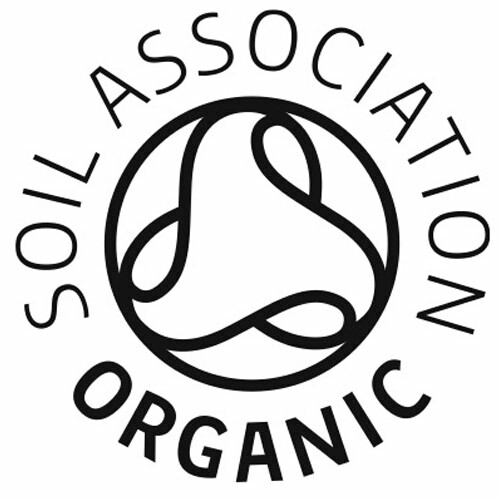 Organic Liquorice Root(37%), Organic Cinnamon (25%), Organic Ginger (17%), Organic Apple Pomace, Organic Anise (2%), Organic Cloves (1.5%), Organic Nutmeg (1.5%), Organic Black Pepper (1%), Organic Cardamom (1%), Organic Orange Peel. Below are reviews of Heath & Heather Organic Chai & Liquorice - 20 Bags by bodykind customers. If you have tried this product we'd love to hear what you think so please leave a review.